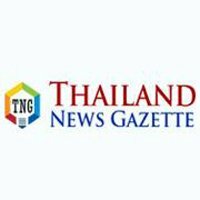 09/04/2019 Bangkok, Thailand Alarmed by the continuing threat of infectious diseases that can spread between animals and humans in Asia and the Pacific, three international organizations have announced they are increasing their coordination to respond more effectively across the region. From rabies to zoonotic influenza, zoonotic diseases pose a threat to human and animal health, and there is a growing urgency for the Asia-Pacific Region to better collaborate and coordinate efforts in response, announced the Food and Agriculture Organization of the United Nations (FAO), the World Organisation for Animal Health (OIE), and the World Health Organization (WHO). These three organizations, known as the Tripartite, also noted that food safety issues are a public health concern that need to be addressed from production through to consumption. In addition, the rise of antimicrobial resistance (AMR) threatens the region’s capacity to prevent, control and treat these diseases. Action is required by all countries across all relevant government sectors, the private sector and society. In order to respond more effectively to these threats at the animal-human-ecosystems interface a ‘One Health’ approach is being adopted, officials said today at a workshop to strengthen multi-sectoral collaboration organized by the regional Tripartite. International experts from human and animal health sectors, 28 member countries and international organizations are reviewing progress made in multi-sectoral action over the last decade (since the Regional Tripartite in Asia and the Pacific organized the first workshop of this kind in Sapporo, Japan in 2010). Participants will be identifying the key drivers for strengthening country preparedness and response capacities; tools and frameworks to enhance responses to zoonoses, foodborne diseases and AMR as well as the key achievements and constraints at global, regional and country levels. More than 75 percent of emerging infectious diseases are of animal origin, and foodborne diseases and AMR are increasingly emerging at the human-animal interface. This requires practical approaches to operationalizing One Health multi-sectoral collaboration, said Dr Poonam Khetrapal Singh, WHO’s Regional Director for South-East Asia. One Health is one of the regional priorities of the FAO Regional Office in Asia and the Pacific, said Kundhavi Kadiresan, Assistant Director-General and FAO Regional Representative for Asia and the Pacific. That’s why we at FAO remain committed to collaborating with our international partners in this region � and globally � to make sure this approach works for the good of all, ‘leaving no one behind’, she emphasized. First, with growing populations and increased consumption of food of animal origin, production methods have changed and the risks of emerging zoonotic diseases are evolving. This, in turn, is requiring ever more efficient disease prevention and control systems. The burden of foodborne diseases is significant. Second, rabies has re-emerged in areas previously free of it and remains endemic in many Asian countries. Meanwhile, the threat of AMR is projected to have a dramatic impact in Asian countries, with AMR-related deaths surpassing those related to cancer by the middle of this century. Each sector works to deepen understanding of the other, and strengthen its own systems and functions to be responsive to the needs of the other through interface. This is how we translate One Health and turn it from concept into practical concrete action at both the country and regional levels. said Dr Takeshi Kasai, WHO’s Regional Director for the Western Pacific. This regional multisectoral meeting among country representatives and global experts is very timely as diseases will increasingly affect economies and threaten animal and public health. It is critical to strengthen the animal health systems in countries to effectively control zoonotic diseases at the animal source. A functional and dynamic multisectoral collaboration amongst the key stakeholders is the need of the hour to address the global health threat posed by infectious diseases and AMR, said Dr Hirofumi Kugita, OIE Regional Representative for Asia and the Pacific. The Tripartite partnership was reaffirmed last year when the Directors-General of the three organizations signed a Memorandum of Understanding to strengthen their long-standing partnership to address AMR, emerging and zoonotic diseases and with a new emphasis on strengthening health systems. The UN Environment Programme (UN Environment) and the Tripartite are formalizing their partnership to enhance environmental focus and complete the effective response against health risks at the human-animal-ecosystems interface.